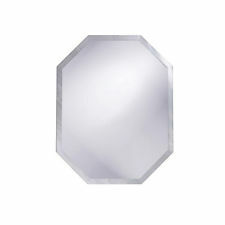 Our beautiful 6 pieces of ELONGATED beveled mirrors have 1/4" bevel. These economical mirrors are made in Taiwan and made of the highest quality glass (no feet). Each beveled mirror is 3mm thick (1/16") and has polished edges. Sizes from 1.5x2", 1.5x3" and 2x3" will enhance any of your collectible items, craft projects, etc. Ships from Ventura, Ca. 93003 within 24 hours.